Lifehack Your Way to Gardening Success - Legends Landscape Supply Inc.
Gardeners and landscapers are always looking for tips and tricks to make outdoor life a little easier. While most of us have heard of lifehacks, garden hacks are not as well known. The best hacks will save you money, reduce your work effort and achieve better results. Other hacks are just cool, clever ideas that seem like fun to try. Here is a list of eight garden hacks for do-it-yourself gardeners. Painted rocks are a decorative way to label rows of seeds, individual plants or a particular section of the garden. Use colourful pictures, words or both. Getting your kids involved is a fun, but potentially messy, way to recruit garden helpers. If you don’t like the rocks idea, how about broken flower pots? You can do the same thing with shards from a favorite flowerpot or broken dishes and bowls that you can’t bring yourself to throw away. Superglue them to a thin metal stake if you want to get them off the ground for better visibility. Often, a quick watering in the garden does not get deep enough. Recycle plastic water and soda bottles by turning them into deep root waterers. Poke a few holes in the sides and “plant” them, full depth, close to your garden plants. Fill the bottles with water as a supplement to your regular watering to make sure water is getting down into the soil. 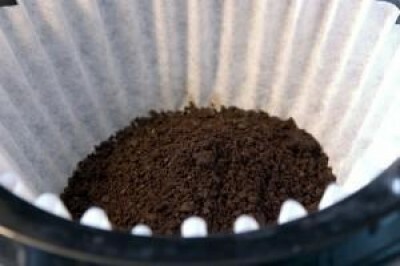 It’s all too easy to dump coffee grounds into your countertop compost bin or even the trash. Instead, consider taking them directly to your garden. Coffee grounds make an effective slug repellant and help to stop mold and mildew problems in the garden. Coffee filters have their garden uses too! They make great pot liners and are one of the best ways to cover those pesky, but important, drainage holes in the bottom of flower pots. They let water, but not potting soil, drain through the hole. Relative to the cost of seeds, peat pots and other seeding starting trays can seem pricey. Toilet paper rolls are a great biodegradable seed starter. Cut four long slits about one-third the length of the roll. Fold and overlap the four strips that result to form the bottom of a mini pot. If you eat eggs or use lemons, you also have another source of seed starters. Standing upright, half of a juiced lemon or half of an empty eggshell can be carefully filled with soil and a couple of seeds. All of these natural pots should be planted along with the seedling when it is large enough to put in the ground. Though canvas shoe hangers are designed to hang on a closet wall or over a door to hold multiple pairs of shoes, they all also work as hanging herb or flower gardens. Hang them on a garden trellis or wall and fill each holder with topsoil and a small herb or flower plant. Water often; you will soon have a wall of green. Though most of us like having birds around the yard, we don’t like them eating strawberries, tomatoes, and newly sprouted seedlings. Rubber snakes and plastic owl statues are readily available online and at many variety stores. Scatter a couple of snakes around and perch an owl on a tall stake or tomato cage to scare birds away. You gardeners love new ideas. Pick two or three of these that sound like fun to try. They may even spur you to come up with your own garden hacks. Call us today if you want to get your hands on high quality landscape products for your weekend renovation. Written on Tuesday, September 15, 2015.